A redstone sorting machine can not only cure a cluttered unmanageable Minecraft home, but make for an integral part of an efficient work space. 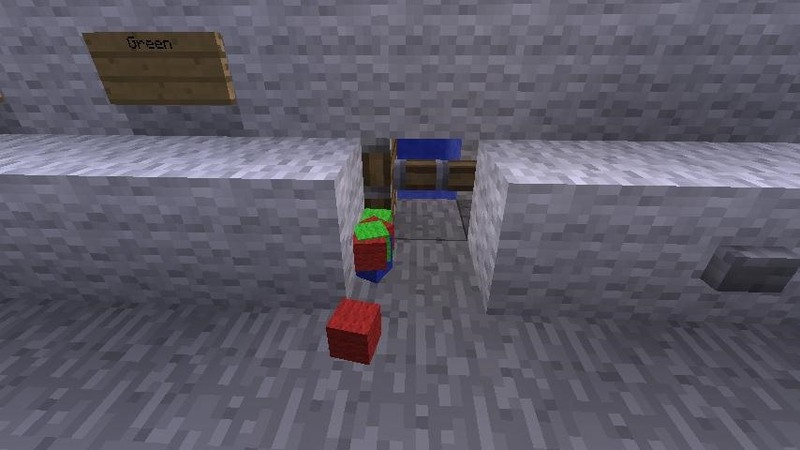 With the redstone sorting machine, your items can arrive at the mere press of a button. 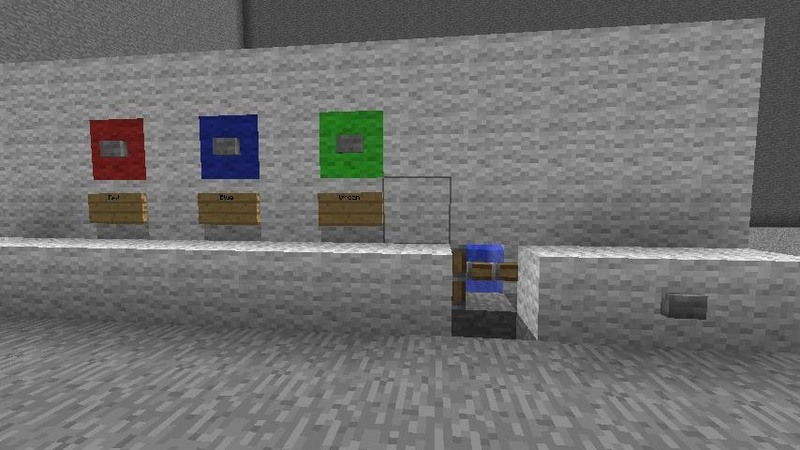 There are several variations to sorting machines and while mine cart sorting machines used to be the prefered method, I have made this guide using water and dispensers. This is mainly because of the change in mine cart behavior that came with the 1.0 update, which limits some of what one can do with mine carts. Nonetheless, this sorting machine will certainly serve you much better than a cluttered mess of chests. (1) First make a one block tall platform for your redstone sorting machine to stand on. 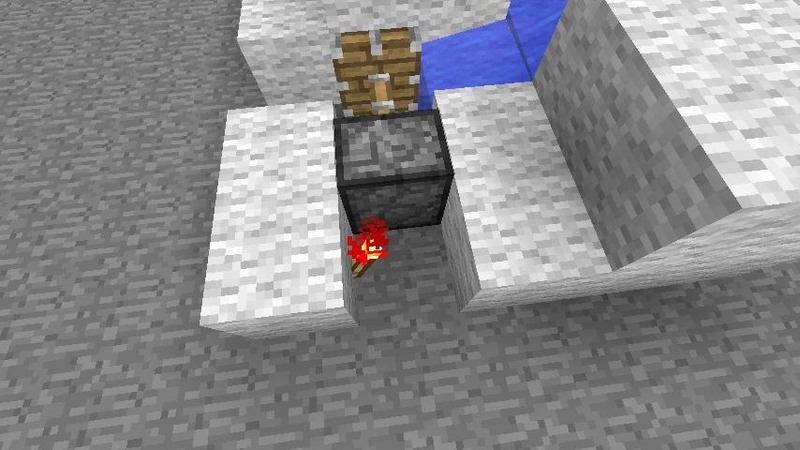 (2) Build a wall three blocks tall of whatever block material you prefer and place stone buttons on every other block. On the opposite side of each of the blocks on which you have placed buttons put dispensers as seen above. 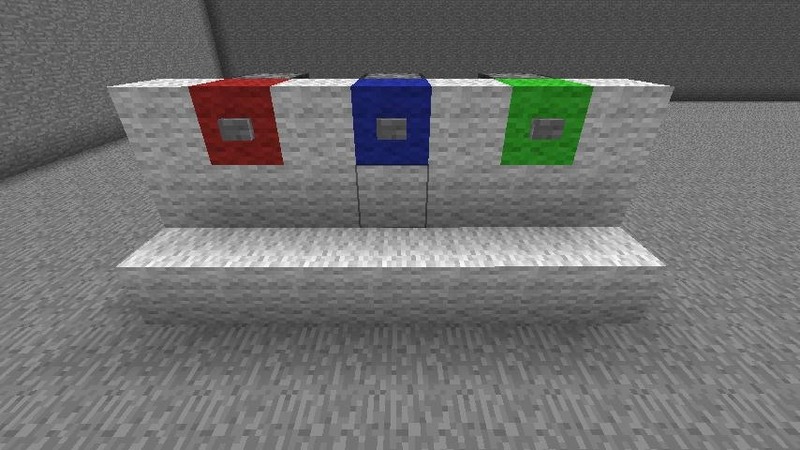 Here I have color coated my dispensers and filled them with the wool of each color, but you can fill the dispensers with whatever you want. These can be used for everything from food types to tools. 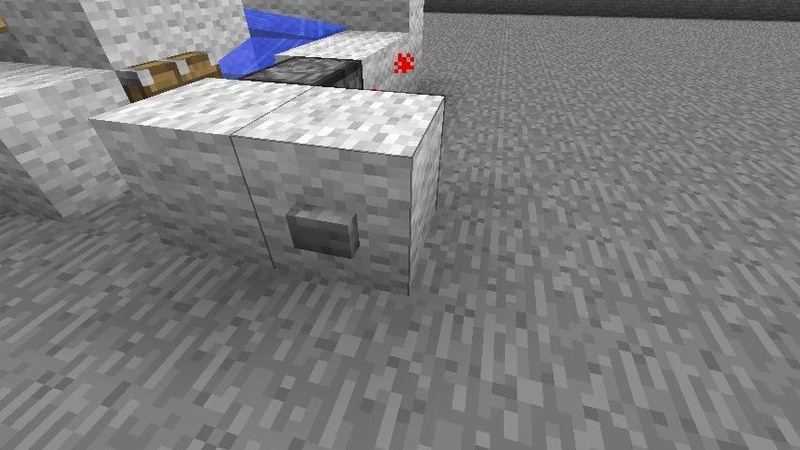 You can also use signs to designate which dispenser is filled with what. (3) Here you can see the dispensers I have placed on the opposite side of the stone buttons. Fill each dispenser with whatever item you have designated it for. Be sure your dispenser dispense backwards, not towards your stone buttons. (1) Build a trench directly behind the dispensers that is one block deep running the length of your dispensers. Build up the far side of the trench (here the left) so that when the dispensers release items, they fall into the trench. 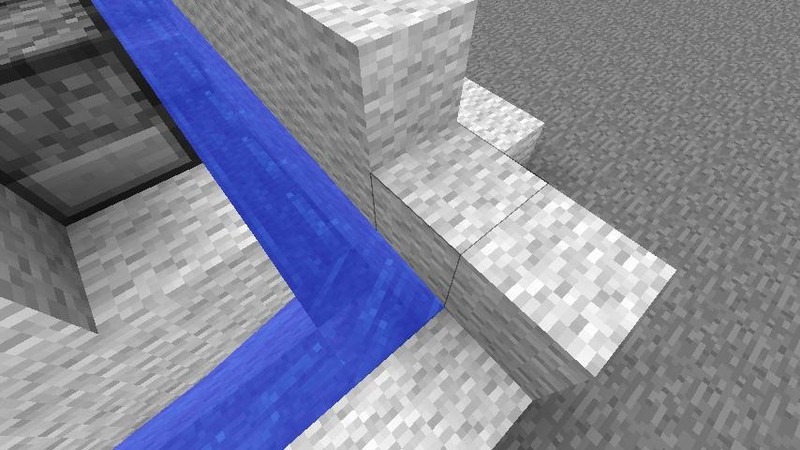 , (2) Place water at the left side of the trench so that water runs out towards the right side of the sorting machine. This will catch and carry items you select to be picked up later. 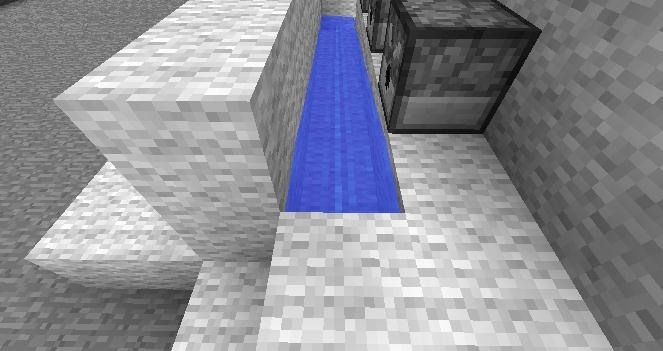 (1) Build a 90 degree turn in the water trench so that the water flowing from the trench is moved towards the front of the sorter. (2) Install a regular piston one block back from the front of the machine so that it is facing the inside of the trench. 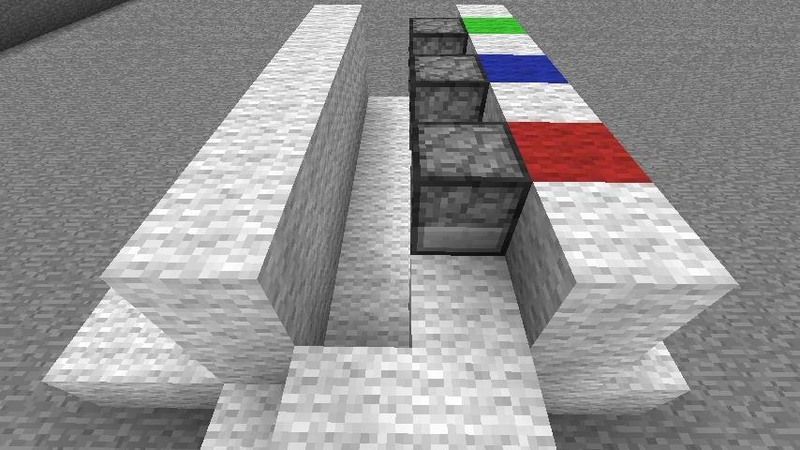 , (3) Place a block in front of the right of the piston and behind it place a redstone torch. 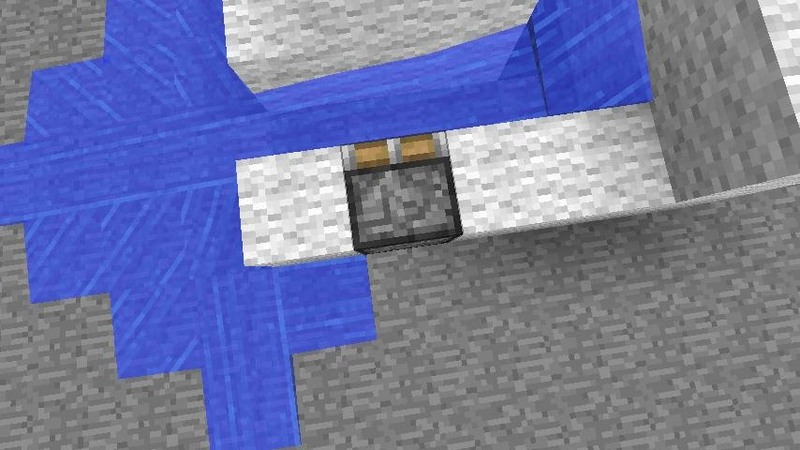 This should activate the piston blocking off the water flow. 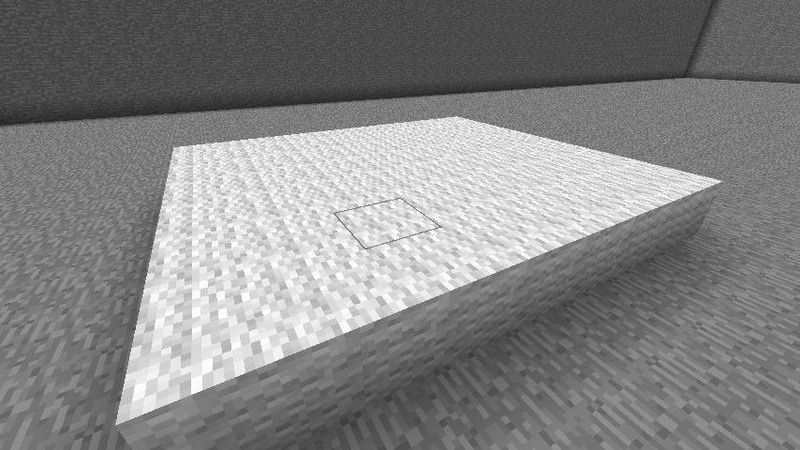 , (4) Place a stone button on the opposite side the redstone torch. , (5) Try out the machine by pressing the buttons corresponding to the item you want to receive. 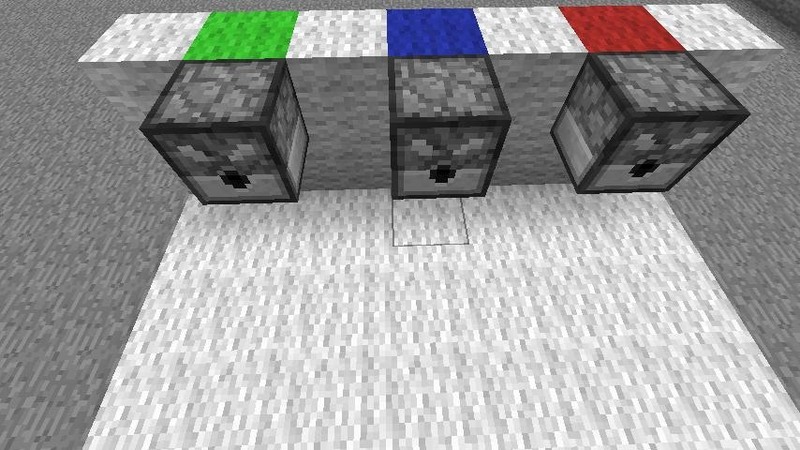 Once you have selected your items wait about four seconds and then press the dispenser button on the far right near the piston. The result should be that your items pop right out of the machine at the touch of a button. , (6) Finish the machine by covering up any open spaces. Be sure that the water flow is not obstructed in your machine and that the dispensed items are not getting stuck. Now you can collect your items at the press of a button! How clever! I'm making this for my trading post! Thanks, great tutorial as always.